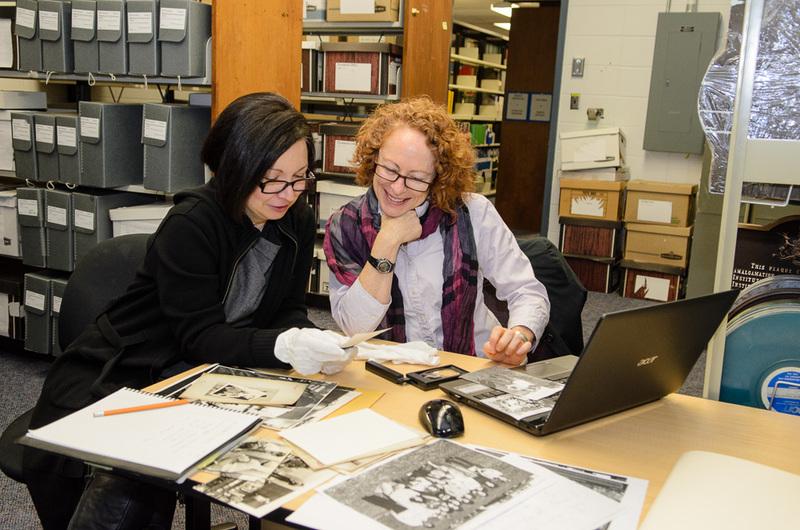 The BCIT Archives recently had a visit from a 1979 graduate of the Women’s Exploratory Apprenticeship Training (WEAT) at Pacific Vocational Institute (PVI) Maple Ridge. Back in 1978, Bridget Trousdell was living in Prince George, had done some work in trades, and was eager to get real job-ready training. She enrolled in the inaugural year of the WEAT program along with 15 other women. After 12 weeks of training the students graduated, embarked on skilled trades careers and went their separate ways. 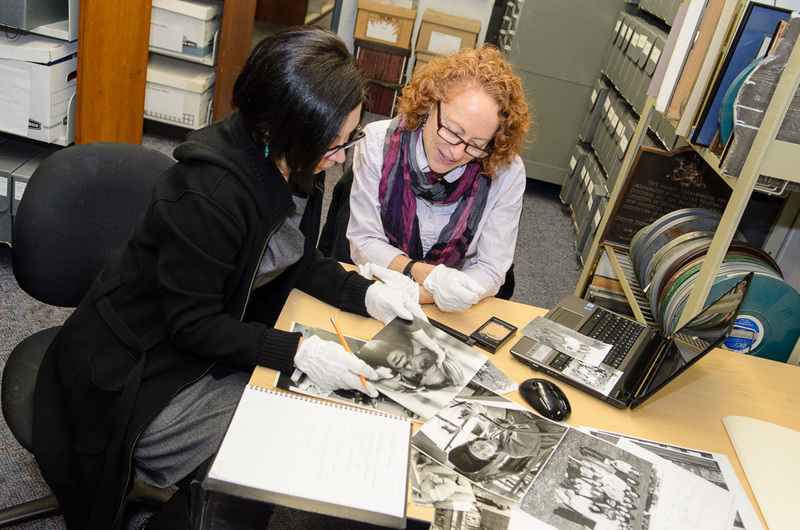 Archivist Elizabeth Padilla and alumnus Bridget Trousdell look over photos from the WEAT program at PVI. Thirty years passed, without contact, but then three years ago a classmate found Bridget and two other former students on Facebook. The group reconnected and they’ve been meeting annually to catch up and discuss old times. There were always unanswered questions about what happened to their fellow alumni and the program itself. Bridget’s visit to the Archives was an attempt to answer those questions. What ensued was win-win session. 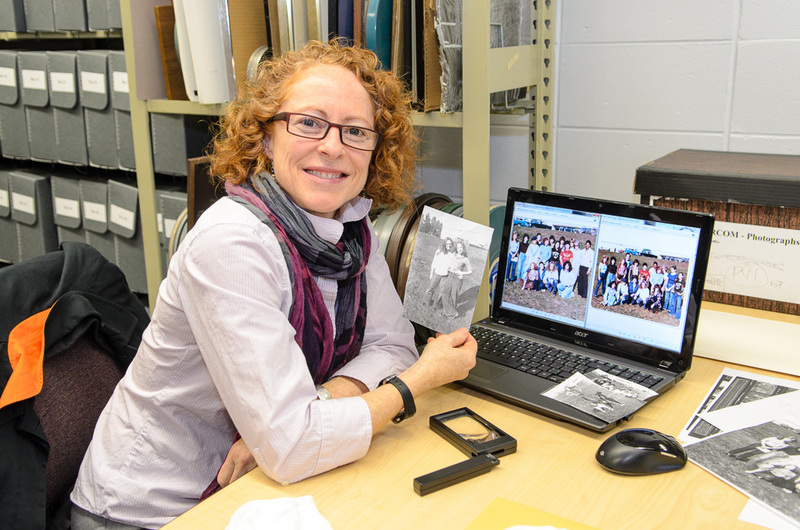 Bridget was able to learn about the fate of the program and see the collection of photographs from the WEAT days. BCIT’s Archives grew richer from a first person account of the early days of trades training for women at PVI and the identification of some of the students in the photos. The WEAT Program was discontinued in the mid-‘80s, but BCIT’s lengthy history of training women for the trades continues today with the 16 week Trades Discovery for Women. It is not uncommon to see women enrolled in all of the skilled trades programs at BCIT. If you want to learn more check out this CKNW interview with BCIT Chief Instructor Tamara Pongracz and Mike Smyth. Archived photos from the 1970s.